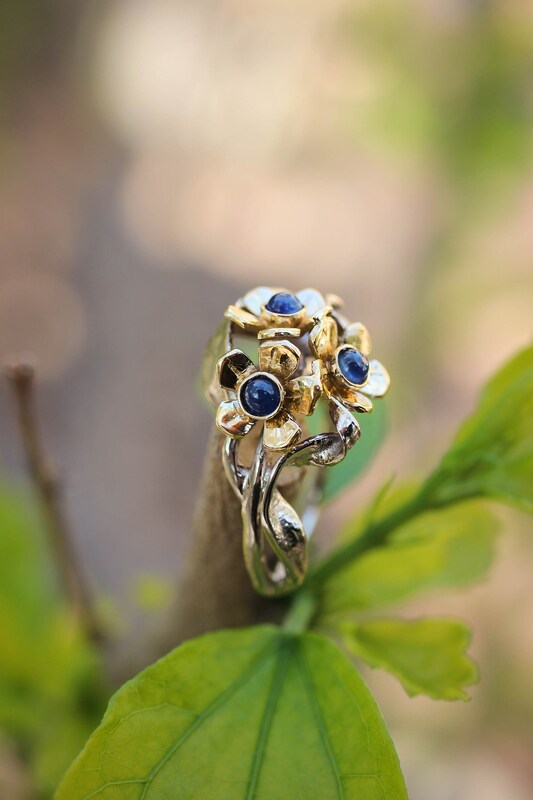 Unique engagement ring is sculpted from solid 14K or 18K two tone gold and features nature inspired design. 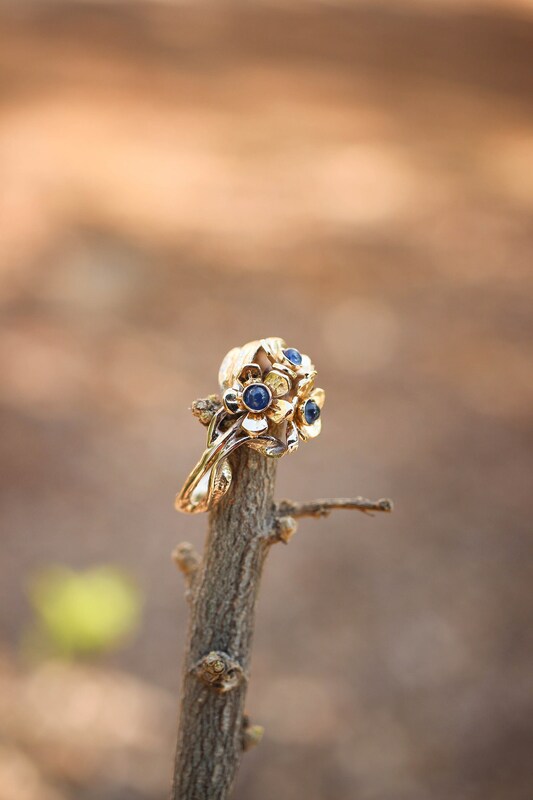 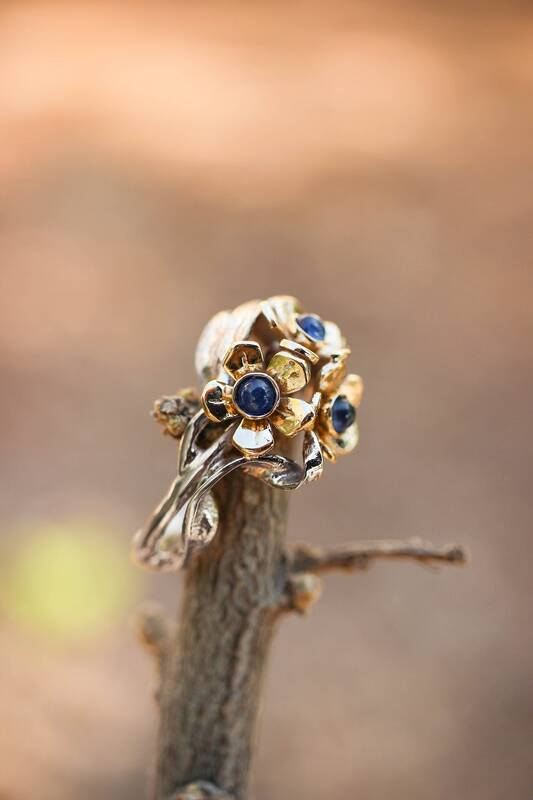 Three forget-me-not flowers are placed on skilfully wrapped white gold shank with leaves and adorned with three natural sapphire gemstones. 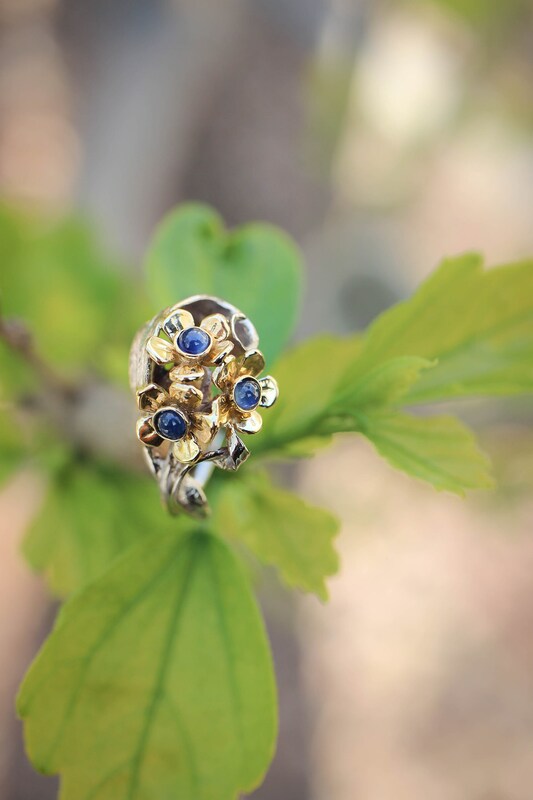 Gold flower ring could be a unique wedding ring, promise ring, lovely birthday or anniversary gift. 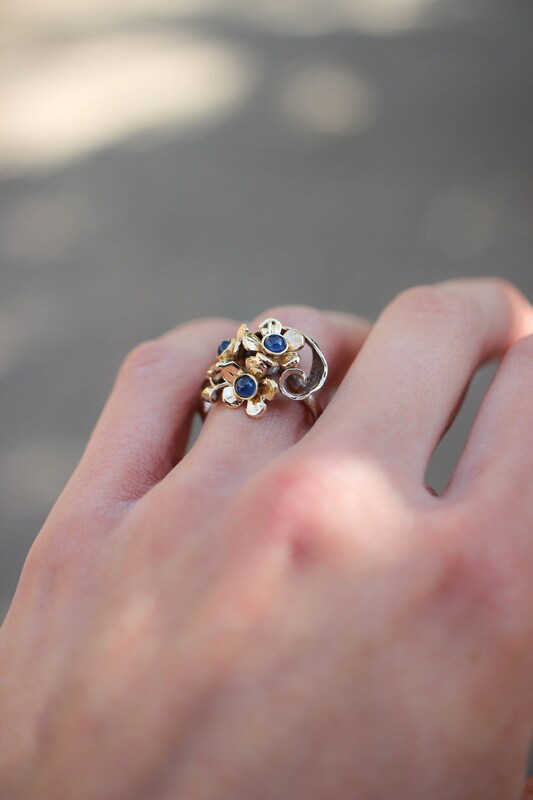 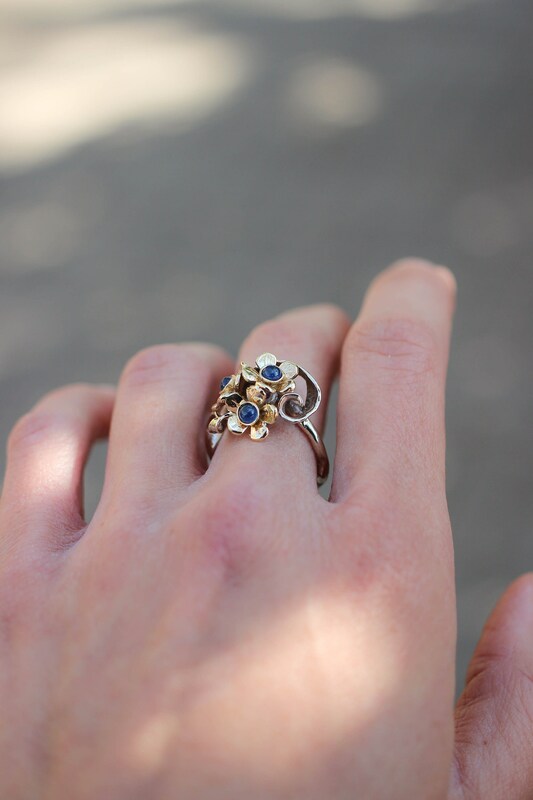 Contact me if you have any questions regarding this sapphire ring. 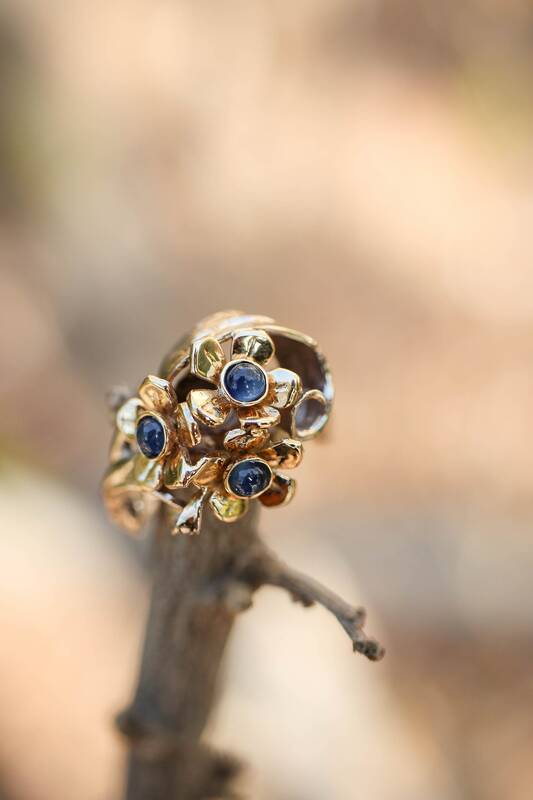 Can be made in 14K or 18K gold. 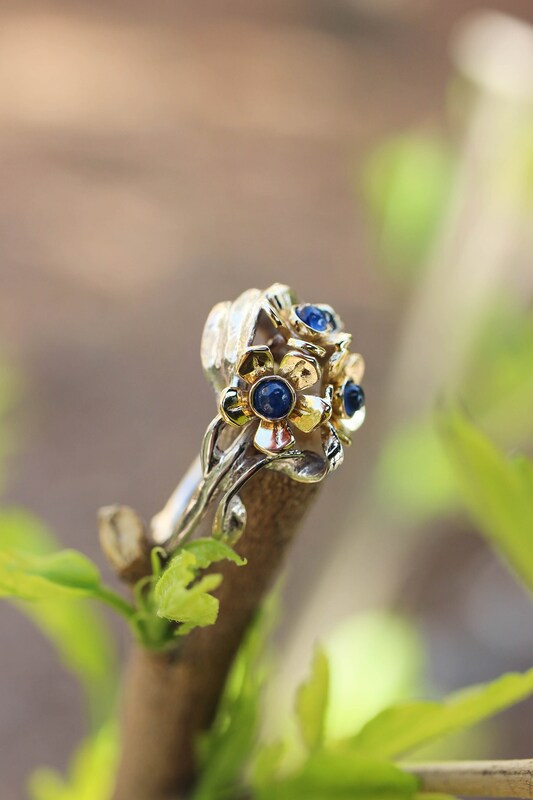 Shank is made from white gold and you can choose gold colour for flowers: yellow, rose or white. 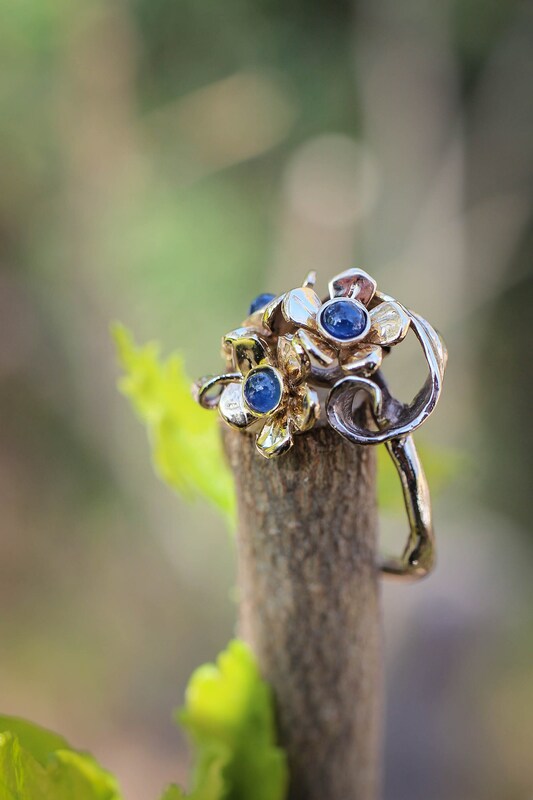 Contact me if you wish another colour combination. 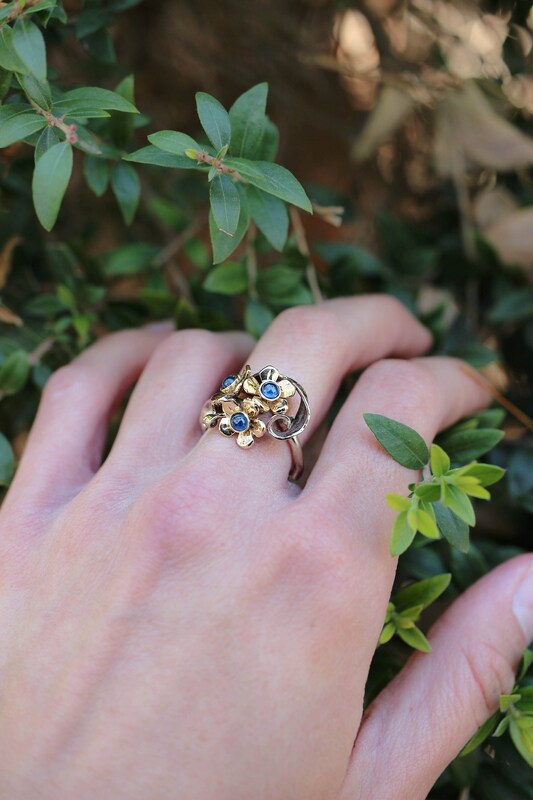 This romantic ring comes in elegant black box and is ready to give.